Scholarships are among the most desirable ways to finance a college education. Every year, oround $30 billion of scholarship money is given away by the Department of Education, and many millions more are given by private organizations and foundations. Unlike federal loans, this is money that never needs to be paid back. Scholarships range in amount, but even the most humble of scholarships can be a great help towards paying for college. Landing a scholarship is a process. The number of available scholarships has increased, but so has the demand for these scholarships. As such, things have gotten quite competitive. So how can you put yourself in the best position to receive this helpful form of financial aid? How can you make your scholarship search a success? One of the most important things you can do is familiarize yourself with the different kinds of scholarships that are available. By doing this, you'll have a much clearer idea of which scholarship you're most qualified for. > Can I get a scholarship? > When Should I Apply? Student-Specific: These scholarships are designed to encourage diversity and promote access to higher education. They're widely varied, and awarded based on specific characteristics of the student. For example, there are student-specific scholarships for single mothers, for students with disabilities, or (most commonly) for members of certain races, religions, and ethnic groups. These scholarships often reflect the values and interests of the awarding organization or foundation. Need-Based: These scholarships are awarded to students who can't pay for college on their own, or whose parents can't pay for their education for them. Students who hope to receive need-based scholarships must fill out a FAFSA form each year, detailing their current financial status. This form is then processed and forwarded to the school, which assesses the student's eligibility for need-based aid. Merit-Based: Also known as performance-based scholarships, these are given to students who exhibit exceptional achievement in academics, athletics, or extracurricular activities. Students who have performed a good deal of community service or volunteer work are at an advantage when competing for merit-based scholarships. Career-Specific: These are scholarships awarded to students enrolled in (or planning to enroll in) a program in preparation for a specific career after graduation. Career-specific scholarships are most commonly given to students preparing for professions which are in high demand, such as nursing, teaching, or medicine. In some cases, students who are awarded scholarships need to agree to certain terms--for example, to spend a certain amount of time working for a company or organization after graduation. These terms are known as "bond" requirements. Medical students, for instance, who accept scholarships with such terms are often required to practice medicine in a rural area for a period after graduation. If these bond requirements are not fulfilled, the student may be liable to repay the scholarship money. Full scholarships (commonly called "full ride scholarships") pay for a student's entire education: tuition, room and board, books, and sometimes more. These full scholarships are typically awarded to students who demonstrate outstanding academic or athletic achievement. The most competitive college and university athletic teams become competitive by offering excellent full scholarships to the most talented athletes, thereby attracting the best team of players. These scholarships--athletic, academic, or otherwise--may even include a semesterly stipend in addition to college expenses. Partial scholarships are far more common. They can be awarded in varying amounts for a wide range of reasons. Scholarships may reward superior academic achievement, or outstanding performance in a specific discipline. These scholarships may come directly from the school, or from one of thousands of private organizations, foundations, or special interest groups. A partial scholarship may be enough to cover room and board, books, or part of tuition. Minority Scholarships - How Can They Benefit You? Minority status is not only designated to people because of their ethnic background or race. People are also given minority status when their specific minority status, whether it be religious or racial, is different than less than 50 percent of others in the community, state, or nation. Minority scholarships are sponsored by a variety of organizations to assist people from particular groups. For example, a Catholic organization could offer scholarships available for Catholic students or an Italian-American organization could assist students with Italian ancestors. Since women are classified as minorities, there are multiple types of scholarships available for women. Many organizations award scholarships to women enrolled in certain majors. This provides more women with the opportunity of attending college. Minority scholarships are not only awarded to students with good grades, or those with parents unable to pay for their education. Applications frequently request information about grades and finances, but many organizations will take into account other factors when making award decisions, such as extra-curricular activity and community service participation. Even if you cannot be classified as an ethnic or racial minority, there is probably a minority scholarship you qualify for. Minority designations are not only relegated to these two groups. There are hundreds of thousands of scholarships awarded each year. There are also just as many students who apply for these scholarships. Unfortunately, many students never apply for scholarships because they believe theapplication process is too competitive and they won't qualify. There are many types of scholarships available, and there's no reason to believe that you will not qualify for any of them. We're not saying that earning a scholarship is easy, only that it is possible if you will put in the effort. There are several steps you can take to improve your chances of receiving a scholarship. Since scholarship requirements vary for each type of scholarship, most students can benefit by receiving assistance from professors, academic counselors or other professionals. If you have a high GPA and admission exam scores, you should look into academic scholarships, but be advised that other factors, such as community service and extracurricular activity, are also considered. There are literally thousands and thousands of scholarships out there, so do your research. We're confident you'll find several that are within reach. After identifying the scholarships you qualify for, read all the application instructions, note deadlines, and read the fine print. If you come across a scholarship requiring an application fee, it's possible that it could be a scam. Paying close attention to detail during the application process will ensure you avoid any mistakes that could raise red flags. As you pursue scholarship opportunities, keep in mind that there are all types of scholarships, not just academic. Review the articles about scholarships on this site to learn useful application tips that can make you stand out from the competition. You can get a scholarship, if you put in the effort. Most scholarship application forms are due between February and April, so you should start applying for scholarships during the summer and fall. Never submit a scholarship after a deadline. Many schools and organizations refuse to review scholarship applications that are submitted late. Filling out scholarship application forms can be time consuming, but after completing a few, the process will become easier. In many cases, you'll be able to adapt the essays you develop for previous applications to be used on application forms for other scholarships. Before you can apply for scholarships you must first put together a list of scholarships you're interested in. Then you must organize them according to application deadline, prioritizing those with the earliest deadlines. The next and final step is to sit down and actually go through the application process for each scholarship. The more scholarships you apply for the greater your chance of receiving a scholarship award. However, don't hurry yourself. The quality of each application you submit is just as important as the number of applications submitted. The tips below will help you maximize the effectiveness of the scholarship application process. A scholarship application requires more information than just a name, citizen status, and birthdate. You'll be required to provide more than just basic contact information. Most scholarship applications require letters of recommendation from teachers or employers, academic transcripts, cover letters, resumes, essays, and multi-page personal statements. And nearly every scholarship has an application submission deadline. To ensure you meet application deadlines, start gathering everything you need, begin brainstorming for personal statements, and request letters of recommendations months ahead of time. Don't begin writing your personal statement or essay the night before the submission deadline. A key to obtaining scholarship awards is starting the application process long before the submission deadline. Applying to several scholarships is the best strategy for maximizing your chances of receiving a scholarship award, but be careful. When students are applying to several scholarships, it's not uncommon for them to mix up the details of their scholarship applications. Make sure you know the specific requirements for each scholarship for which you apply. Overlooking critical detail, or neglecting just a few requirements, can disqualify you from a scholarship award. Read the directions for each scholarship carefully. If you have any questions, don't hesitate to reach out to the scholarship provider via email or a phone call. Believe it or not, scholarship providers are eager to answer your questions and assist you. Imagine that you're asked to review a thousand scholarship applications and to determine which applicant should receive a scholarship award. After reviewing all one thousand scholarship applications, you're about ready to keel over from exhaustion and boredom. All one thousand applications re really good. All the applications included the requisite number of personal statements, letters of recommendation and essays. They all followed the application guidelines perfectly. But they were all pretty much carbon copies of one another. None of the applicants stood out from one another as original or unique. When preparing your scholarship application, it's important you follow all application rules and submission guidelines. This does not however mean you shouldn't be orginal. Remember, scholarship judges are people just like you and me. The last thing they want to do is review one thousand scholarship applications that are essentially the same. As you prepare your scholarship application, include information and exhibits that will help set you apart as interesting, unique and especially deserving. Pay attention to the presentation of your scholarship applications. Sometimes, presentation is just as important as content. If you've written a great essay, and meet all the scholarship requirements, but submit an application that is sloppy, you could jeopordize your chances of receiving the scholarship award. All things being equal, the student who submits a neat and professional looking application is going to have an advantage over other applicants. Even if it's not required, you should type your responses to essay questions. If you must fill out the application itself by hand, use your very best pennmanship. Never submit an application with with smudges, white out or other blemishes. Whether you're applying for one or a hundred scholarship awards, it's easy to make mistakes on a scholarship application. However, the likelihood of making errors will increase, if you're applying for several scholarships. Before submitting your application(s) have good friend, maybe your parent, review your application(s) for errors. A second pair of eyes will often spot errors that you missed. Just as critical as the application itself, is the application essay. With respect to flow of thought, clarity and grammar, your essay should be flawless. We recommend having your teacher read your essay and provide feedback. If your teacher isn't available, find a school counselor, qualified adult or even a friend who can review your essay for you. A second pair of eyes will be able to identify issues with incohesiveness and grammar that you are not. Ask your reviewer to make sure your essay adequately addresses and proves your thesis. Also, ask them if they like your essay or have any other feedback. Don't forget, the scholarship judges are people just like your teacher, parent and friend. If the person you have review your essay finds it compelling, the judges probably will too. It's inadvisable to seek a letter of recommendation from a family member or friend. Rather, seek a recommendation from someone who can expound upon your unique talents. For example, if you highlight extra-curricular activity participation in an application, seek a recommendation from an advisor, coach, or teacher. When requesting a letter of recommendation, ask well before deadlines. It's unprofessional to ask for a recommendation without giving the person providing it time to prepare it. Once you learn a scholarship you're applying for must be accompanied with a letter of recommendation, begin collecting the necessary papers and ask the person you're seeking a recommendation from weeks or months in advance of the deadline. Provide the person writing your letter of recommendation transcripts and other information demonstrating your abilities. Also, this simplifies and speeds up the writing process for the recommendation provider. Some letter of recommendation providers allow students to write the letter. If this is the case, do not write anything your recommendation provider would not agree with since their credibility is on the line. They will not sign anything they disagree with. Request that your recommendation provider prepare the letter on their personal letterhead. This is very professional looking, and it authenticates your letter to scholarship committees. Provide your recommendation provider with stamped and appropriate-sized envelopes. This is a professional courtesy, and it demonstrates to the person writing your recommendation that you appreciate their help. Provide the person writing your letter of recommendation enough time to adequately prepare it, and be sure to express your appreciation by sending a thank you note to the recommendation provider. Teachers and other professionals are typically very busy, so by requesting a letter of recommendation, you're asking them to take time out of their schedule to help you. You've written the perfect essay. You've completed the application. Now it's time to submit your application. When submitting your scholarship application, follow submission instructions precisely. Neglecting to do so could cost you your scholarship. Most scholarship committees have very specific application submission guidelines. It's important you follow these guidelines. Some applications can be e-mailed. Others must be submitted via U.S. Mail in a plain white envelope with a stamp. If you're not familiar with the submission guidelines for a scholarship, find out. Call or write the scholarship provider, if necessary. Not following submission guidelines can automatically disqualify you for consideration. Always be professional and courteous when addressing members of scholarship committees. Many people are impressed by professionalism, and even if you're not awarded a particular scholarship, committee members could recommend you to other organizations offering scholarships. 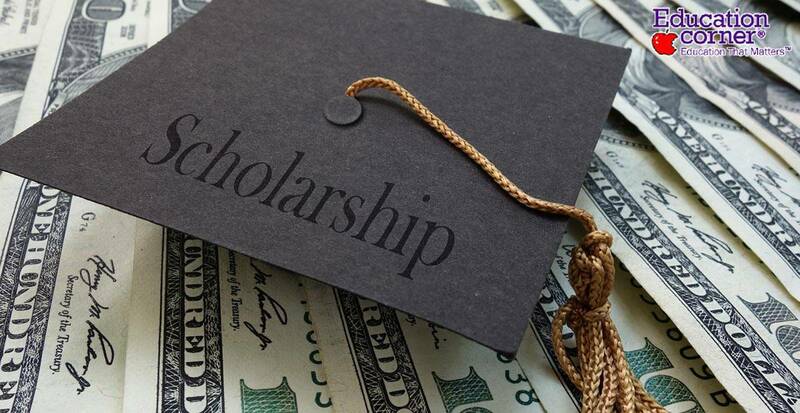 You should begin searching for scholarships during your senior year. Scholarships are only for top scholars and athletes. You have to be a great essay writer to get one. You have to be a high school student to win a scholarship. Most scholarship awards are small and not worth the effort of applying. Scholarships are all heavily weighted towards minorities and those with documented financial need. Scholarship competition is too intense. It's not worth bothering. Finding scholarships takes forever and you're ineligible for 90% of what you find. The scholarship application process is a one-time thing. Billions of dollars in scholarship funds go unawarded each year. Many students are intimidated by the scholarship application process because of common myths and misconceptions about scholarships. After doing a little research, you will find there many scholarships that are attainable, and it typically does not take a lot of time to apply for them. When applying for scholarships, remember to apply prior to deadlines, review all scholarship requirements, follow instructions closely, review your essays for spelling and grammatical errors, and present yourself as the unique candidate that you are! The articles and resources below are designed for aspiring college students and parents interested in learning more about the college scholarship process.